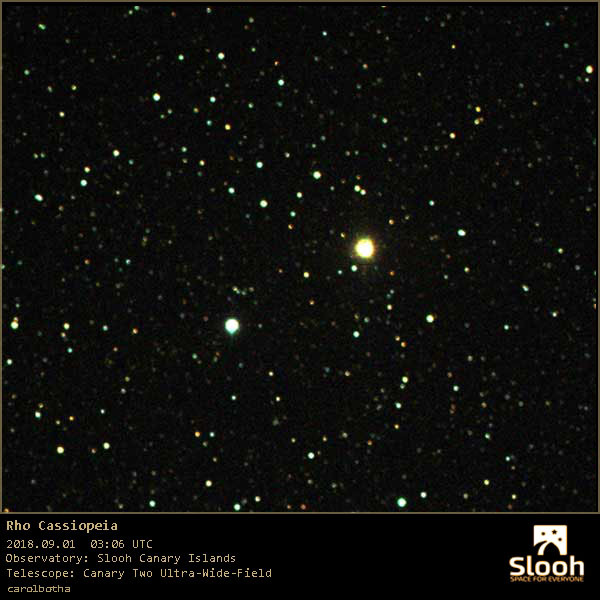 I’m celebrating my first anniversary at Slooh today with this image of the huge yellow star, Rho Cassiopeia. When I do public outreach I usually don’t let the line of people grow to 50+ to look at just one star. “A star is just a star ” even through my telescope. We all love to show the ooh and wow objects. 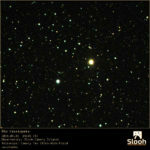 I’ve observed many double stars with my own telescope – they are really pretty. It was during Helen Avery’s Constellation Story Livecasts that observing single stars became more and more appealing and having all the different telescopes available to do so, is just awesome. And I’ve seen that a star is NOT just a star.